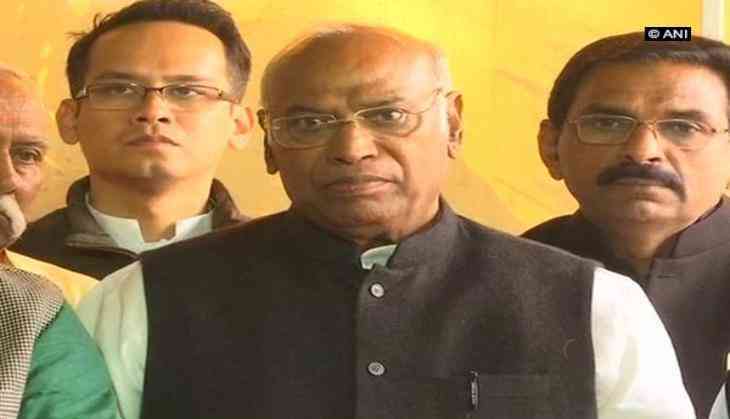 Senior Congress Party leader Mallikarjun Kharge on Tuesday stated that the party high command would decide the chief ministerial candidate in poll-bound Karnataka. Speaking to ANI, Kharge said he was hopeful of incumbent Chief Minister Siddaramaiah being chosen as the party's candidate. "Ahead of the elections in Karnataka, all preparations are being done under the supervision of Siddaramaiah itself. He is the current chief minister, and therefore, there is no question of another candidate being chosen. He is serving his duties well, and I am hopeful that he will be elected at the chief ministerial candidate by the high command, including party president Rahul Gandhi and Sonia Gandhi," he said. Earlier in the day, Kharge sparked reports that Siddaramaiah might not be the Congress' automatic choice for chief minister of Karnataka if the party came to power for a second consecutive term in the state. Responding to this, the senior Congress leader alleged that such rumours were being constructed to deliberately create a rift in the party. "I have heard from media outlets that some people highlighting certain reservations I have about Siddaramaiah being the chief ministerial candidate. However, such reports are not to be believed. There is a group of people trying to create a rift in the party, but this is not in good taste," he said.